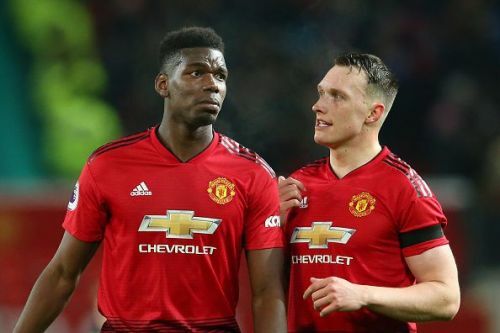 Manchester United failed to win all three points for the first time since Ole Gunnar Solskjaer's appointment as caretaker manager. United came from behind to secure a 2-2 draw against Burnley at Old Trafford. The draw against Burnley also ended Manchester United's eight-match winning run since their 1-3 loss to Liverpool. Solskjaer made a few changes to the starting XI which didn't prove to be a good decision. The Norweigan played Juan Mata, Andreas Pereira, Pual Pogba and Marcus Rashford in a four-man midfield which hindered the chances of Manchester United winning the important tie. The first half of the game was a boring affair as it saw only one shot on target which came through Burnley. However, the second half was a treat for the football fans. Ashley Barnes broke the deadlock with just five minutes into the second half. Jack Cork dispossessed Pereira in midfield and passed the ball to Barnes who didn't make any mistake. Chris Wood scored the second for The Clarets with less than ten minutes before the end of the game. It looked as if Solskjaer was going to suffer the first defeat as United Manager, but the Reds made a stunning comback in the end to save two important points. Jesse Lingard, who was substituted at the hour mark, won the penalty for United and Paul Pogba made no mistake in converting it. United constantly put pressure on the Burnley side and were rewarded for their hard work. Victor Lindelof scored the equalizer in the second minute of stoppage time after Tom Heaton failed to parry Alexis Sanchez's effort. With the loss, United are two points behind the Gunners, who secured a 2-1 win against Cardiff on the same night. Manchester will face the Foxes when they travel to King Power Stadium on Sunday. A weird, weird game that ended in a decent result for Manchester United given the circumstances. Not ideal, but Ole Gunnar Solskjær still remains undefeated. And it shows this Man Utd team have a spine. Good comeback in the end.